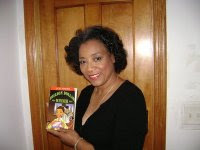 Arlene Jones - Featured Columnist Austin Weekly News: Obama's Aunt Zeituni - Will this illegal alien get to stay or have to go? Obama's Aunt Zeituni - Will this illegal alien get to stay or have to go? Just days before the presidential election, one of the least talked about subjects during all the presidential debates made headlines. Illegal Immigration has been a very contentious issue in this country over the past few years. The most famous illegal immigrant, Elvira Arellano was deported back to Mexico in August, 2007. This year’s illegal immigrant marches have paled in comparison to those of years gone by. Most of the news regarding illegal immigration has been stories about workplace raids and the arrest of hundreds of people who were using false identities while working in this country. So it was very interesting to hear about our latest and probably soon to be most famous illegal immigrant. In Boston, living in public housing, Barack Obama’s aunt Zeituni Onyango (a half-sister to his father) was found to be living here illegally. Although Ms. Onyango had entered the country legally at some point in the past with a tourist visa, she had decided to try and stay here by seeking asylum. That request was denied and she was ordered by a judge to leave. Rather than obey the laws of this country and leave, she did what millions of others have done. She jumped the line and decided to stay. When many of the pundits learned about Obama’s aunt, they loudly decried her and him. There was outrage that Ms. Onyango was living in public housing on the backs of American taxpayers while Americans and especially our veterans live in homeless shelters or on the streets. Obama’s aunt rather than face the media critics and defend her position has since fled Boston to stay with relatives in Cleveland. Media reports out of Cleveland says that she has hired an attorney and will fight the deportation order. What was most interesting to me was the response from Obama. I don’t doubt him when he says that he hasn’t been in touch with his aunt for a number of years. But he also stated that if his aunt was violating the law, she should obey the law just like anyone else. Barack Obama will be sworn in as president on January 20, 2009. The next day on the 21st, a massive demonstration is being planned by at least thirty immigration rights activist groups to call on our new president to end the workplace raids, arrests and deportations of those here illegally. Their stance is that immigration should be one of the top ten agenda items on President Obama’s list. The question of immigration and who has the right to be here and not be here will come at a very pivotal point in this country’s history. We are currently suffering an economic failure that has led to historic drops in the stock market, we hear daily about thousands of Americans losing their jobs, we have the possible collapse of the big three automakers and added into the mix will be those whose are here illegally. Now I have never hidden the fact that I am not a supporter of illegal immigration. No country can afford to take in an uncontrollable number of people and expect to not suffer some consequences. So as we watch what will unfold with immigration under a Barack Obama administration, we will watch as tough decisions will have to be made about people who are here illegally and that will include Obama’s own Aunt Zeituni . Yes, those who come here illegally or stay here illegally have compelling stories. But there are Americans who have compelling stories as well. Tough times call for even tougher decisions. The Obama administration is going to have the deal with the biggest catch-22 of all times when it finally begins to deal with illegal immigration. If his aunt can be deported, then others who are here illegally can be deported as well. If his aunt is allowed to stay, then others can stay as well. But no matter what, this issue will not be one where anyone in America can remain neutral. The final decision is going to make some people very happy and others angry. The question remains as to which side each of us ends up on when the time comes.